DAVID LE/Staff photo. 3/13/15. 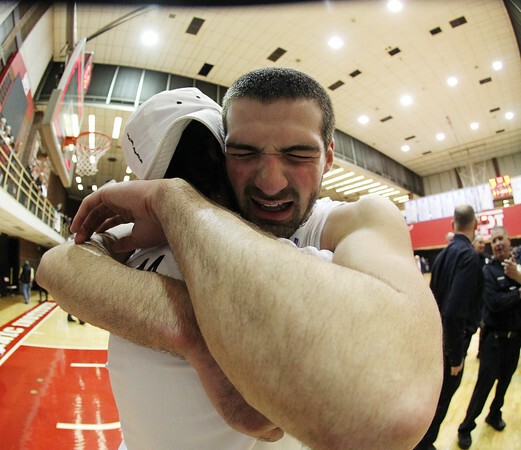 Hamilton-Wenham senior captain Jimmy Campbell is overcome with emotion as he celebrates with a friend following the Generals 59-50 win over Sutton in the D4 State Championship on Friday evening at WPI in Worcester.